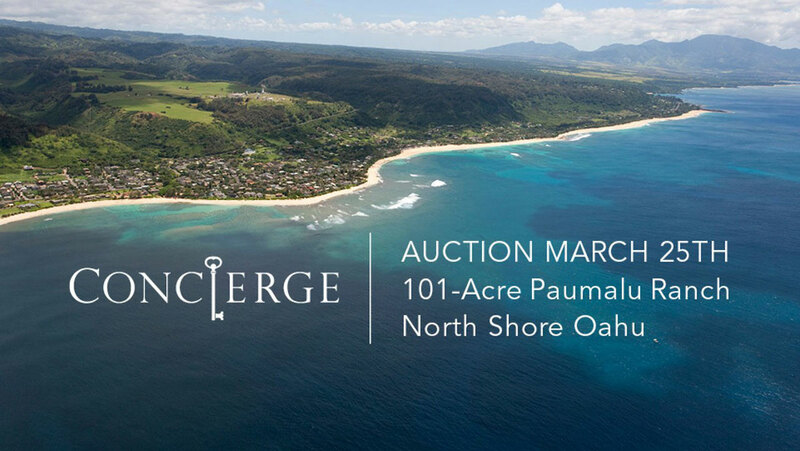 Concierge Auction will offer you a chance to grab this Hawaiian hidden gem – Paumalu Ranch on April 30th. Now, you can live Hawaiian life, since this 110-acre ranch with two parcels overlooking the world-famous Sunset Beach will be sold to the highest bidder without reserve in cooperation with Hawaii Life Real Estate Brokers. Paumalu Ranch is the largest singular land parcel for sale on Oahu’s North Shore. Originally this ranch consisted of two parcels – a 45-acre ocean bluff parcel and a 56-acre mountain parcel, but Concierge increases offering of this rare ranch by adding 9 acres to the ocean bluff parcel, increasing its size to 54 acres. That’s 110-acre in total. “Buyers can either purchase the two parcels separately or together, which renders a versatile opportunity for many different uses,” stated Mike Russo, Chief Operating Officer for Concierge Auctions. Located at 58-378 Kamehameha Highway in Haleiwa Town, the largest commercial center on the North Shore, Paumalu Ranch offers some of the best and most exclusive panoramic views of Oahu’s North Shore, Mt Ka’ala and Kaena Point. Lucky buyer will also a plethora of wildlife for hunting, gently-rolling pastures for equestrian, farming and ranching, world-class golfing and some of the best surfing on the planet. Two ranch residences are allowed, with barns and accessory buildings permitted for each parcel. The property also offers security, open space, the ability to land a helicopter, water, electric, phone lines and privacy found in very few places in Hawaii.